2. Volunteer with SARBI and after 100 hours you get a free shirt!!! Please don't forget to sign our gueatbook and let us know what you think of our site. 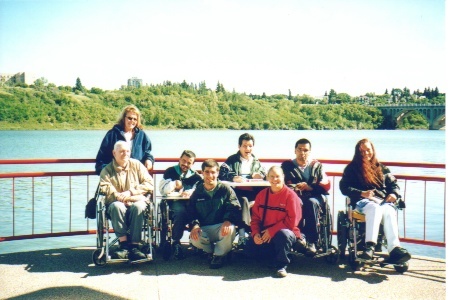 This website is for the Saskatchewan Association For The Rehabilitation Of The Brain Injured (SARBI). We are a non-profit organization devoted to providing recreation and rehabilitation services for people with Acquired Brain Injury (ABI). As a non-profit association, SARBI is committed to offering individually designed, physically based, rehabilitation programs within a positive caring environment to clients with severe acquired brain injury.